Meriam's M1 Series of handheld manometers from Meriam Process Technologies combines form, fit and function to deliver precision pressure measurement for field, plant or lab use. 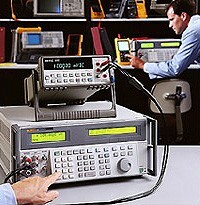 The M101 calibrator delivers +/- 0.10% FS accuracy and additional features. The Martel MECP500 is a hand held portable pneumatic calibration pump which generates from -28" Hg Vacuum to 600 PSIG. The Martel BetaGauge PIR reference test gauge is the most accurate digital pressure gauges available at 0.04% of reading accuracy. 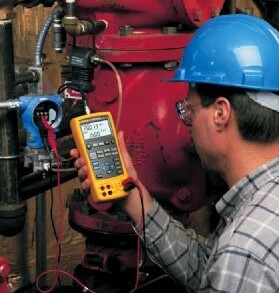 The Martel PIR is truly a pressure calibrator in a pressure gauge housing. The BetaGauge 301 is a low cost single range pressure calibrator with 0.05% Full Scale accuracy. Techne UCAL 400+ Dry Block Temperature Calibrator heats to 400 °C quickly and accurately. Many optional inserts are available. The Martel 330 means technicians will have a small, lightweight hand held calibrator that generates pressures up to 300 PSIG using a high performance integral electric pump.